By Verena Winiwarter, Guest Research Scholar, IIASA Risk and Resilience Program, and Professor, Centre for Environmental History, Alpen-Adria-Universitaet Klagenfurt. Nowadays, rulers turn to primetime TV events to demonstrate their power, be it putting men on the moon, testing missiles, or building walls. When the kings of France, in particular Louis XIV and XV, built Versailles, they had the same goals: To claim their leading role in Europe and make their mastery of nature and their subjects visible for all. In the 1700s, the Austro-Hungarian Empire had to pull off a comparable feat, in particular as Emperor Charles VI had a huge constitutional problem: His only surviving child, a smart and pretty daughter, was not entitled to the throne. Only men could be emperors of the Holy Roman Empire. So while eventually, an international agreement allowed young Maria Theresia to succeed him, her position was clearly weak and would become contested right after her father’s death. The construction of Vienna’ Schönbrunn Palace, and the taming of the river that flows by it, served as an international declaration of power by the Habsburgs and helped secure Maria Theresia’s position. Vienna, the Habsburg capital, already sported a summer palace in the game-rich riparian area to the west of the city center, close to a torrential, but rather small tributary of the Danube, the Wien River. Here, the leaders decided, a palace dwarfing Versailles should be built. One of the most famous architects of his time, J.B. Fischer von Erlach originally designed a grandiose structure that could never have been carried out. But it staked a claim and when seven years later, a more realistic plan was submitted, it became the actual blueprint of what today is one of Vienna’s most famous tourist sites. While the kings of France built in a swamp and overcame a dearth of water by irrigation, the Habsburgs’ choice offered another opportunity to show just how absolute their rule was: the torrential Wien River had damaged the walls of the hunting preserve with its then much smaller palace several times. Putting the palace right there, into a dangerous spot, allowed the house of Habsburg to prove that their engineers were in control. 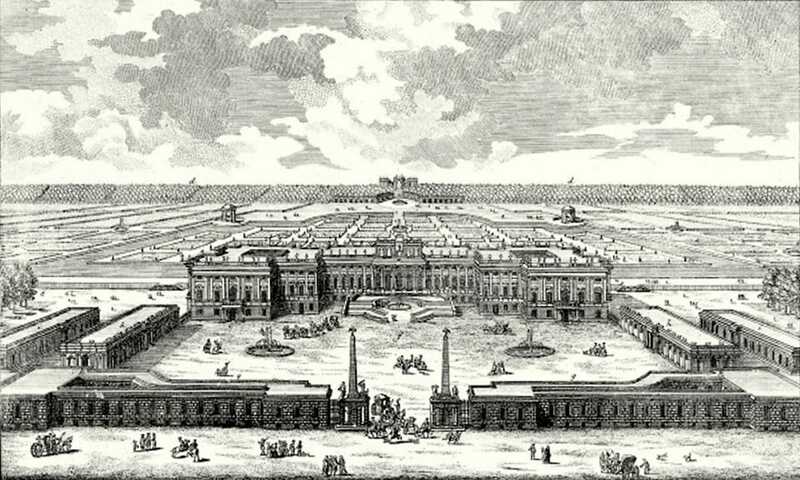 The flamboyant new palace was deliberately placed close to the Wien River, necessitating its local regulation. This had repercussions for those living up- and downstream, as flood regimes changed. Not all such change was beneficial, as constraining the river’s power meant that it found outlets elsewhere. In this case, European power struggles affected the course of a river, putting a strain on locals for the sake of global status. In the 19th century, effects of global events and structures played out in favor of local health, when it came to building sewers along the by then heavily polluted Wien River. The 1815 eruption of the Tambora volcano in Indonesia led to unusually heavy rains during the otherwise dry season and the proliferation of cholera, which British colonial soldiers brought to Europe. A cholera epidemic hit Vienna in 1831/32, creating momentum to finally build a main sewer along Wien River. The first proposals for a sewer date back to 1792; they were renewed in 1822, but due to urban inertia, the sewer was not built. Thousands of deaths (18,000 in recurring outbreaks between 1831-1873) called for a response, and from 1831 onwards, collection canals were built. A global constellation had first affected locals negatively, but with long-term positive outcomes of much cleaner water. We uncovered these stories of the glo-cal repercussions of Wien River management during the FWF-funded project URBWATER (P 25796-G18) at Alpen-Adria-Universität Klagenfurt with the joint effort of an interdisciplinary team. We have shown in several publications how urban development was intimately tied to the bigger and smaller surface waters and to groundwater availability, telling a co-evolutionary environmental history. The overall development of the dammed and straightened, then covered river can be seen in science-based videos by team member Severin Hohensinner for 1755. At 2:00 in the video, the virtual flight nears Schönbrunn on the right bank, with the regulation measures visible as red lines. A comparison between 1755 and 2010 is also available. Both videos start with an aerial view of downtown Vienna and then turn to the headwaters of the Wien, progressing towards the center with the flow. What do Rajapur, Nepal; Chosica, Peru; and Tabasco, Mexico all have in common? Flooding: these areas are all threatened by floods, and they also face similar knowledge gaps, especially in terms of local level spatial information on risk, and the resources and the capacities of communities to manage risk. 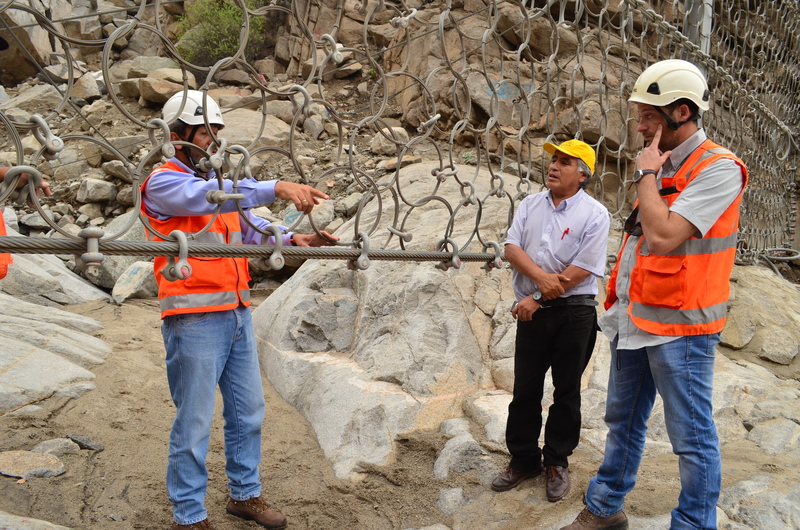 To address these gaps, I and my colleagues at IIASA, in collaboration with Kathmandu Living Labs (KLL) and Practical Action (PA) Nepal are building on our experiences in Nepal’s Lower Karnali River basin to support flood risk mapping in flood-prone areas in Peru and Mexico. Recent developments in data collection and communication via personal devices and social media have greatly enhanced citizens’ abilities to contribute spatial data, called Crowdsourced Geographic Information (CGI) in the mapping community. OpenStreetMap is the most widely used platform for sharing this free geographic data globally, and the fast growing Humanitarian OpenStreetMap Team has developed CGI in some of the world’s most disaster-prone and data-scarce regions. For example, after the 2015 Nepal Earthquake, thousands of global volunteers mapped infrastructure across Nepal, greatly supporting earthquake rescue, recovery, and reconstruction efforts. Today there is excellent potential to engage citizen mappers in all stages of the disaster risk management cycle, including risk prevention and reduction, preparedness and reconstruction. In this project, we have successfully launched a series of such mapping activities for the Lower Karnali River basin in Nepal starting in early 2016. 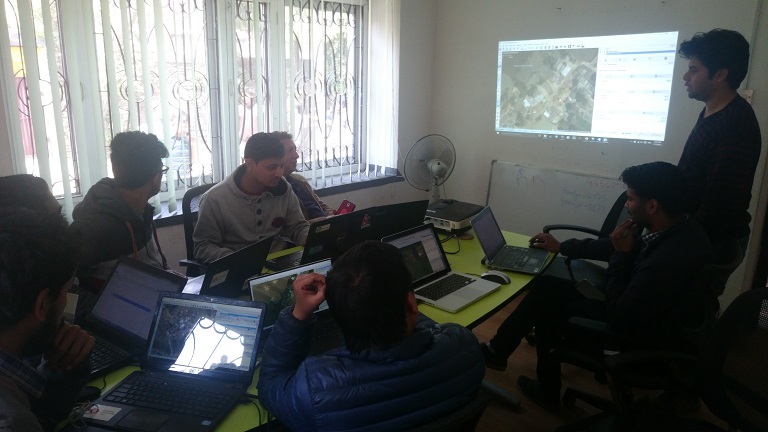 In an effort to share the experience and lessons of this work with other Zurich Global Flood Resilience Alliance field sites, in March 2017 we initiated two new mapathons in Kathmandu, with support from Soluciones Prácticas (PA Peru) and the Mexican Red Cross, to remotely map basic infrastructure such as buildings and roads, as well as visible water surface, around flood-prone communities in Chosica, Peru and Tobasco, Mexico. Prior to our efforts very few buildings in these areas were identified on online map portals, including Google Maps, Bing Maps, and OSM. Through our mapathons, dozens of Nepalese volunteers mapped over 15,000 buildings and 100 km of roads. The top scorer, Bishal Bhandari, mapped over 1,700 buildings and 6 km of roads for Chosica alone. 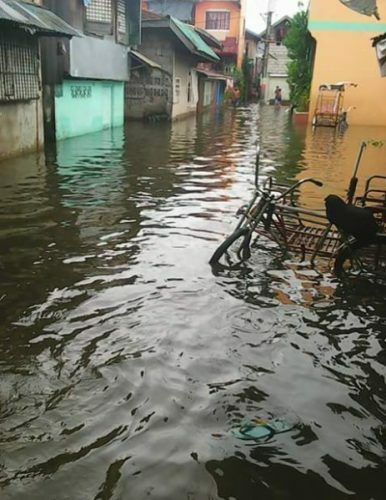 Having the basic infrastructure mapped before a flood event can be extremely valuable for increasing flood preparedness of communities and for local authorities and NGOs. 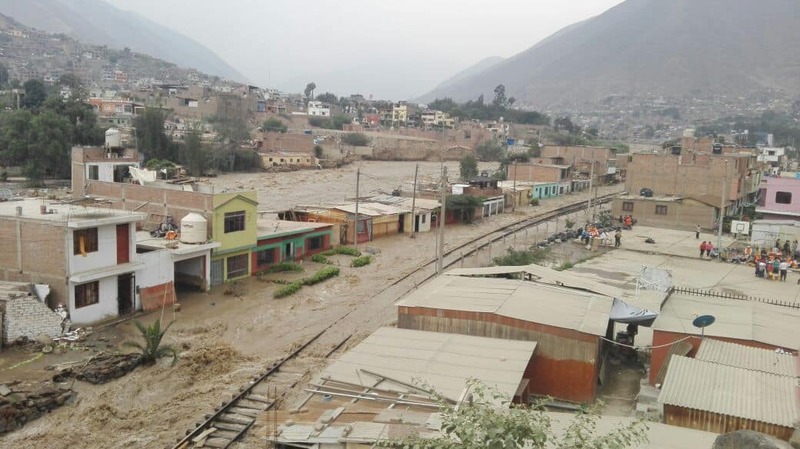 During the period of the mapathons, the Lima region in Peru, including Chosica, was hit by a severe flood induced by coastal El Niño conditions. Having almost all buildings in Chosica mapped on the OSM platform now makes visible the high flood risk faced by people living in this densely populated area with both formal and informal settlements. These data may support conducting a quick damage assessment, as suggested by Miguel Arestegui, a collaborator from PA Peru during his visit to IIASA in April, 2017. 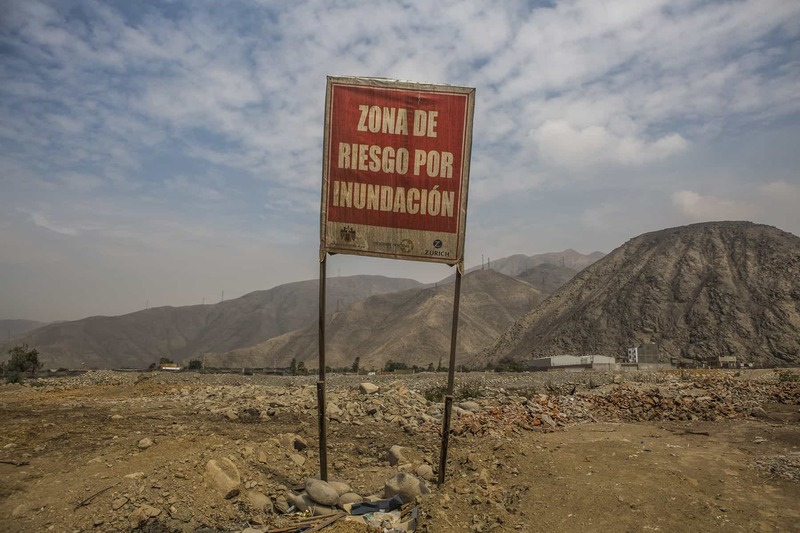 Recognizing the value of crowdsourced spatial risk information, we are working closely with partners, including OpenStreetMap Peru, to mobilize the creativity, technical know-how, and practical experience from the Nepal study to Latin America countries. Collecting such information using CGI comes with low cost but high potential for modeling and estimating the amount of people and economic assets potentially being affected under different future flood situations, for improving development and land-use plans to support disaster risk reduction, and for increasing preparedness and helping with allocating humanitarian support in a timely manner after disaster events. 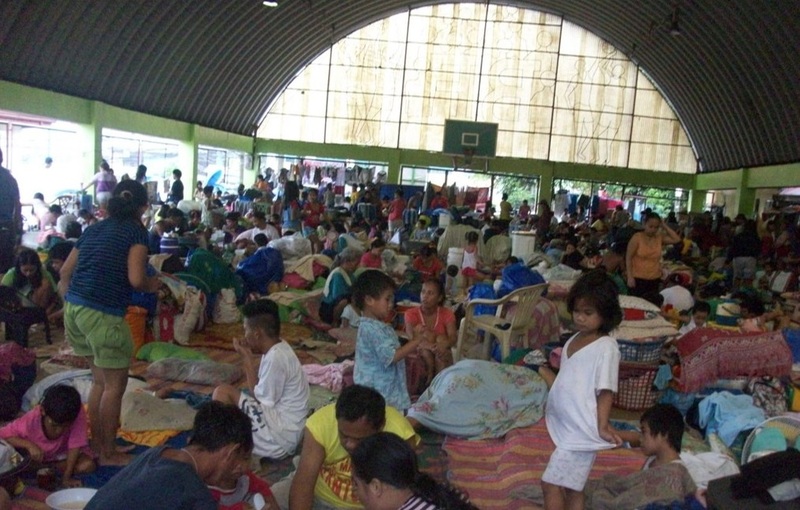 The United Nation’s Sendai Framework for Disaster Risk Reduction states that knowledge in “all dimensions of vulnerability, capacity, exposure of persons and assets, hazard characteristics and the environment” needs to be leveraged to inform policies and practices across all stages of the disaster risk management cycle. CGI has a great potential to involve citizens from around the world to help fill this critical knowledge gap. These pilot mapathons conducted between Nepal and Latin America are promising examples of supporting community flood resilience through the mobilization of CGI via international partnerships within the Global South.